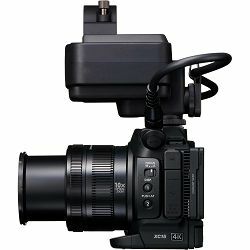 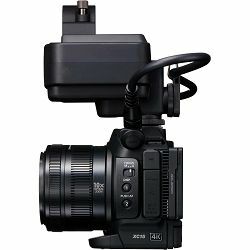 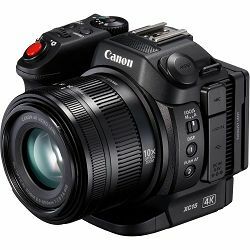 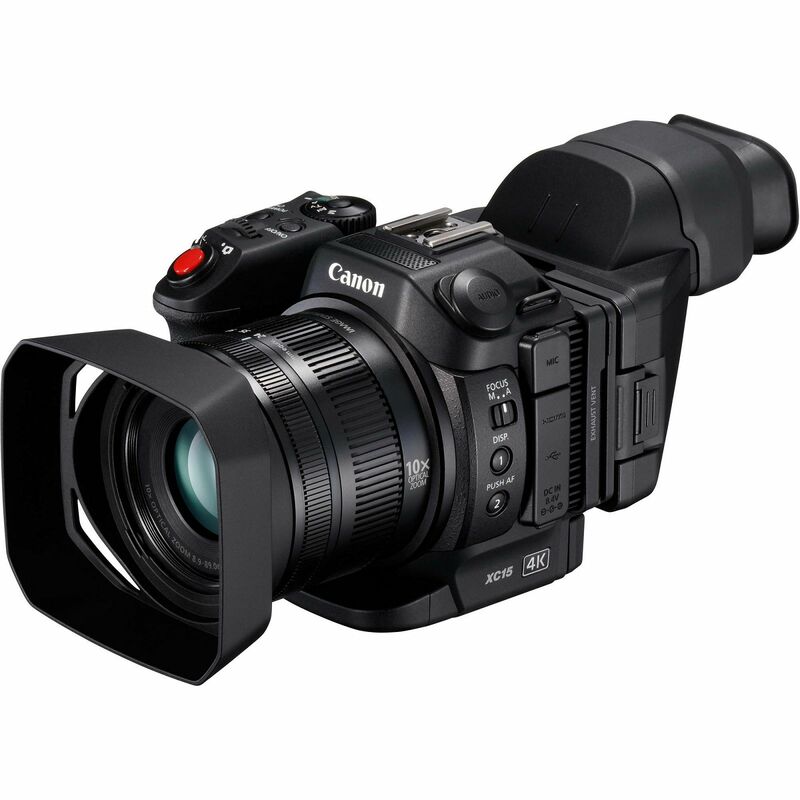 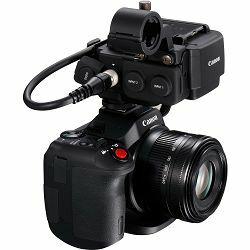 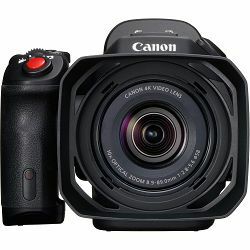 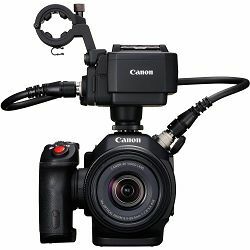 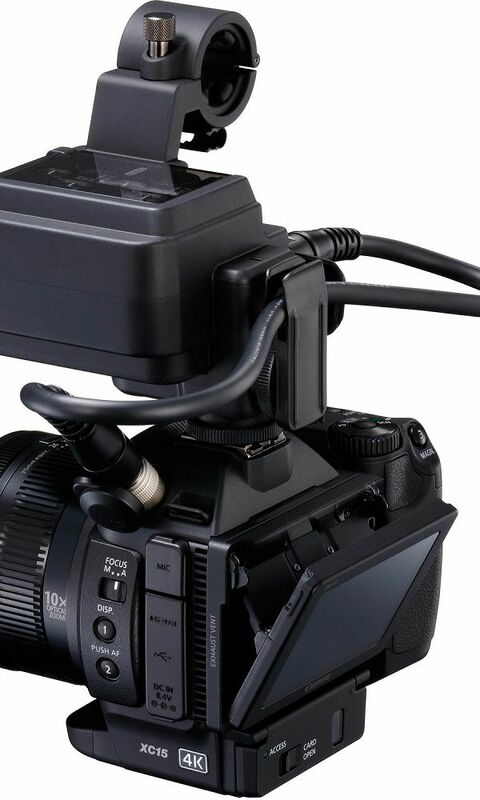 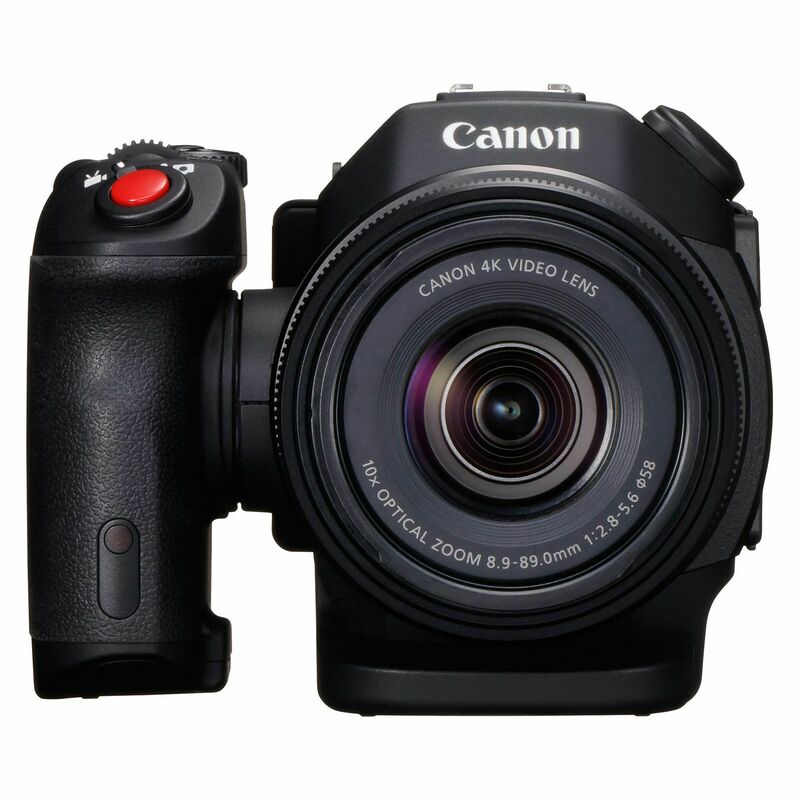 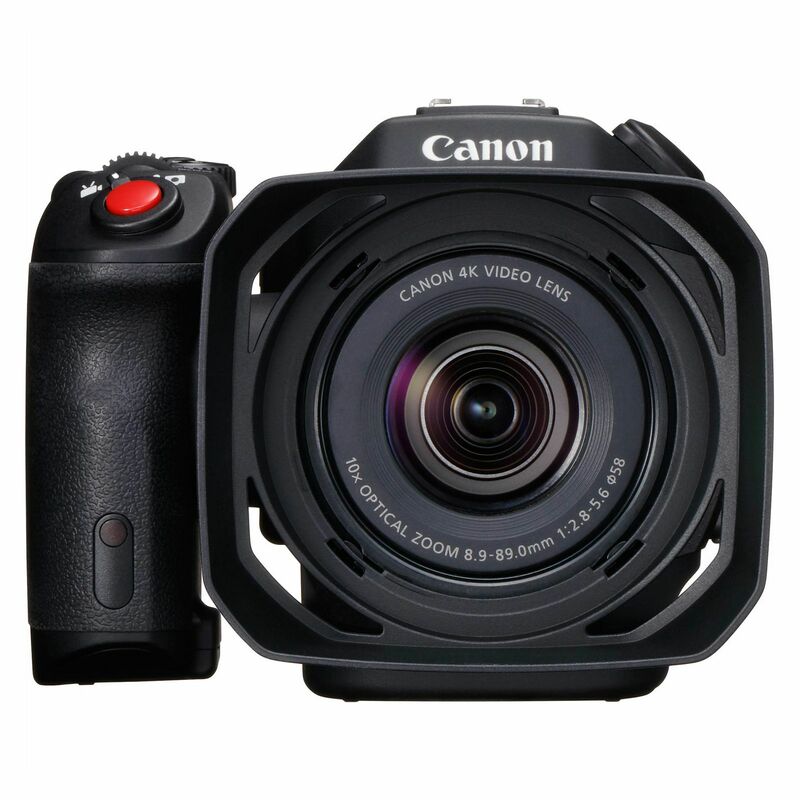 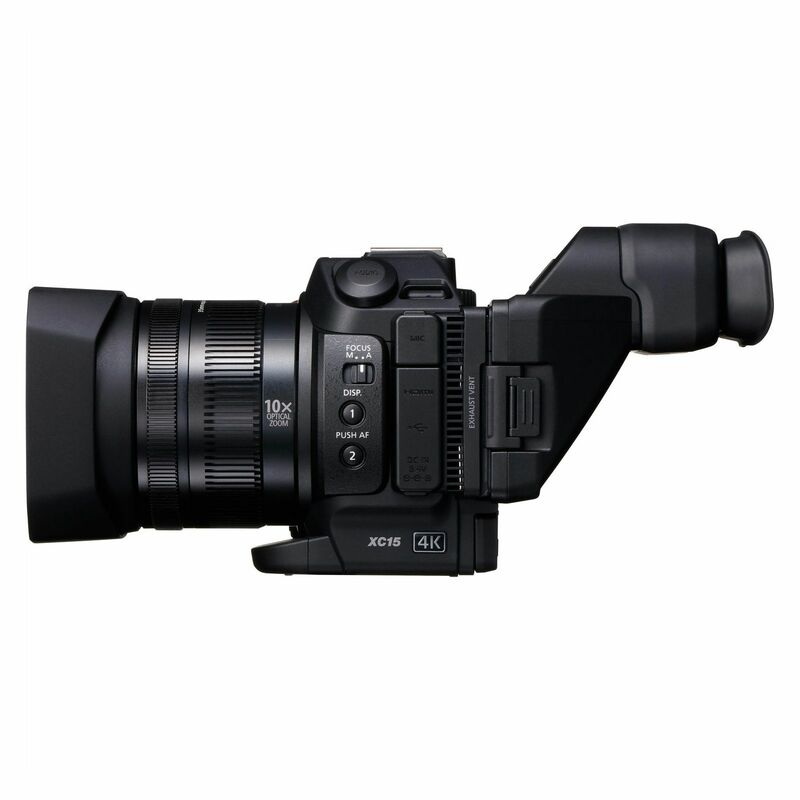 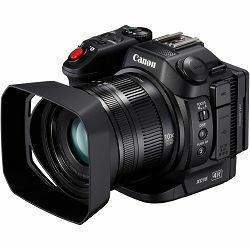 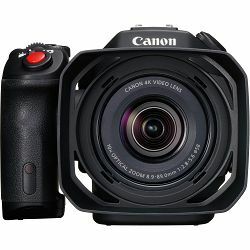 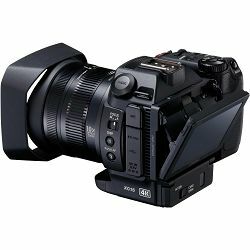 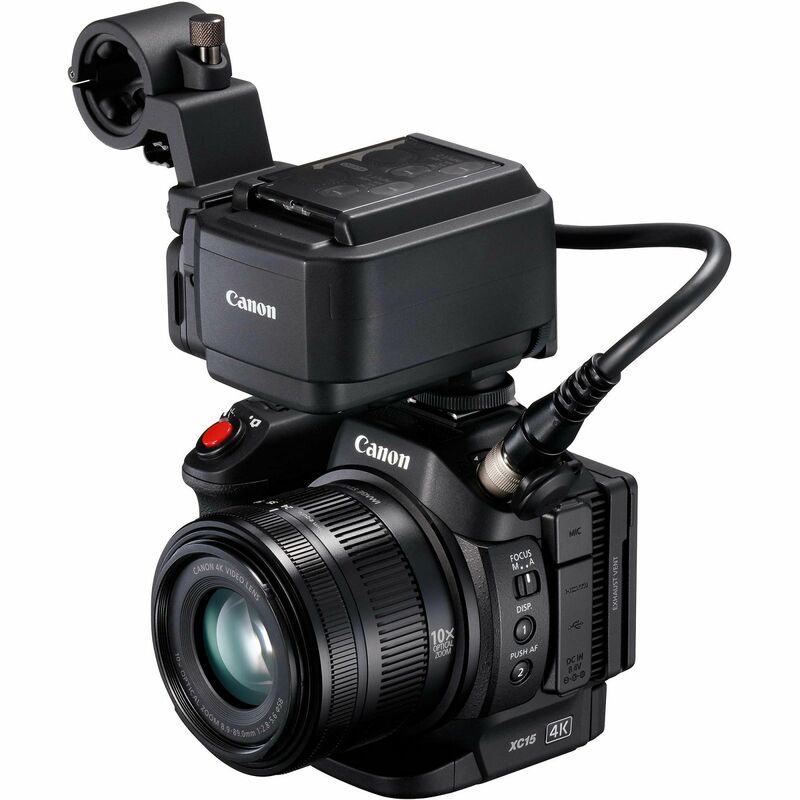 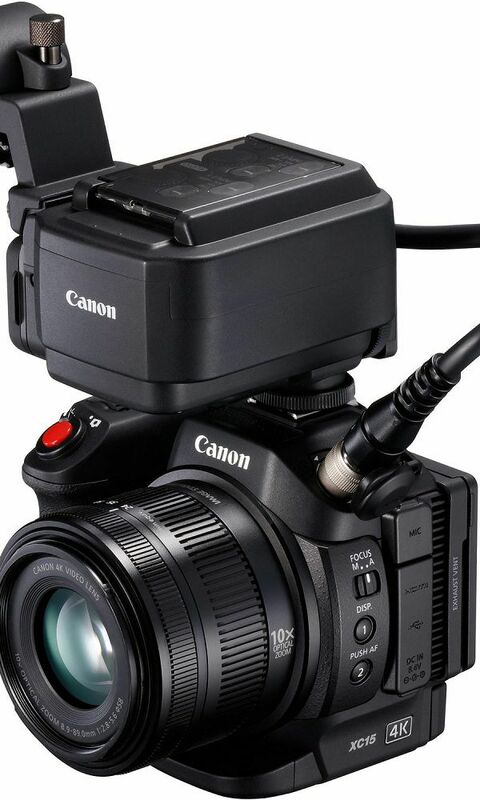 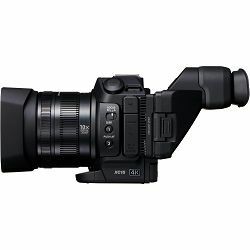 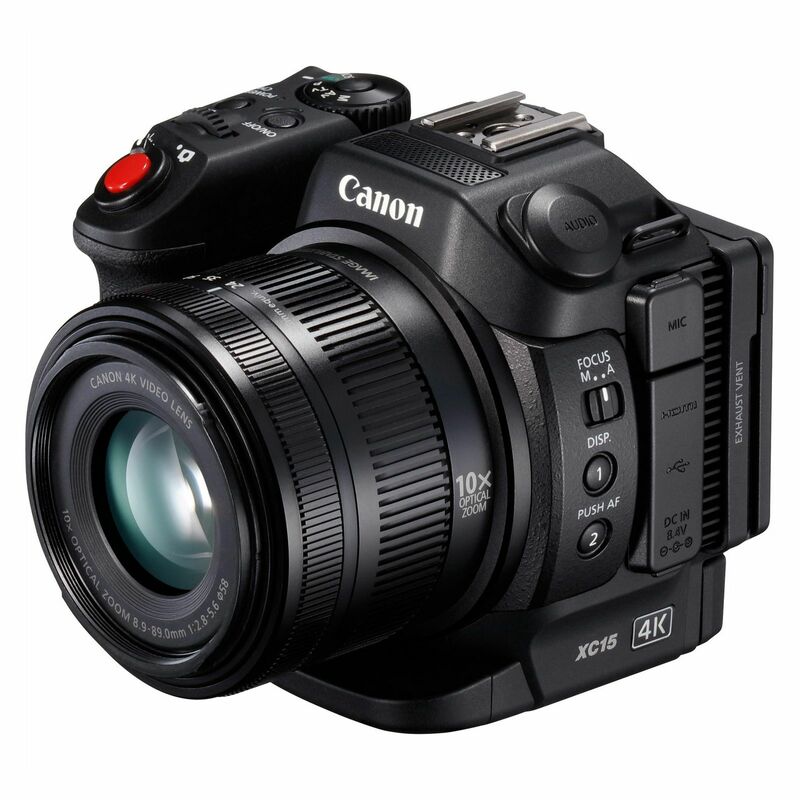 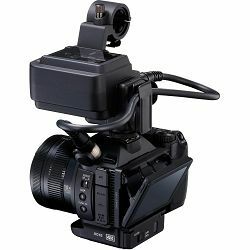 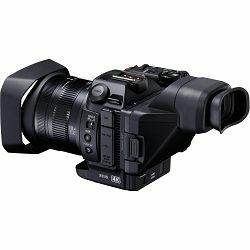 An upgraded follow-up to the XC10, the Canon XC15 4K Professional Camcorder is enhanced for more professional use, providing for a more complete audio/video capture workflow among other in the same compact, ergonomic form factor. 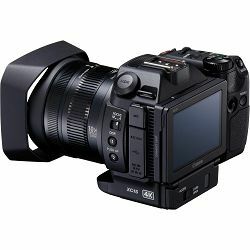 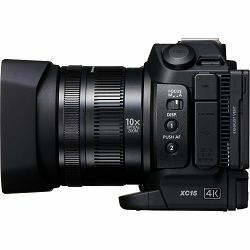 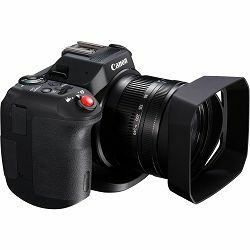 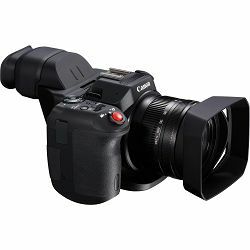 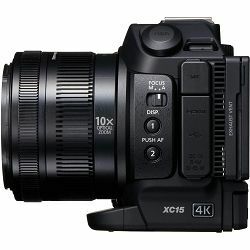 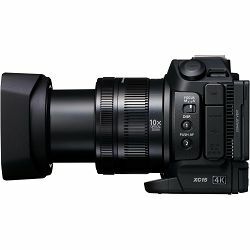 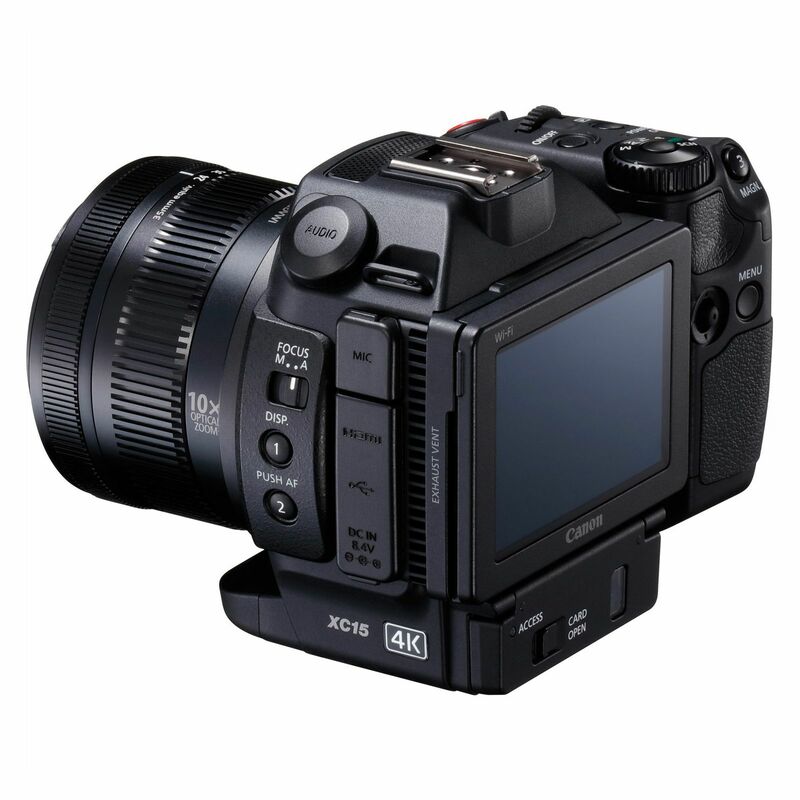 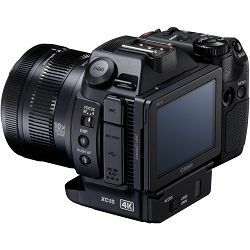 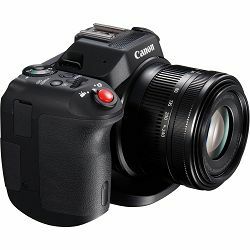 The XC15 features a 1" 12MP CMOS sensor capable of capturing up to Ultra HD 4K resolutions at up to 29.97 fps and 1080p at up to 59.94p, and an integrated f/2.8 - 5.6, 8.9 to 89mm zoom lens, which has a 35mm equivalent focal length of 27.3 to 273mm in video mode. 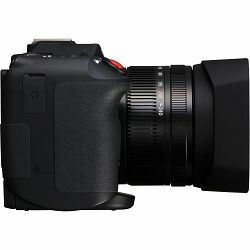 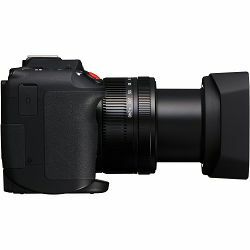 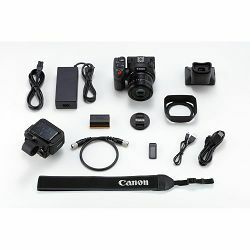 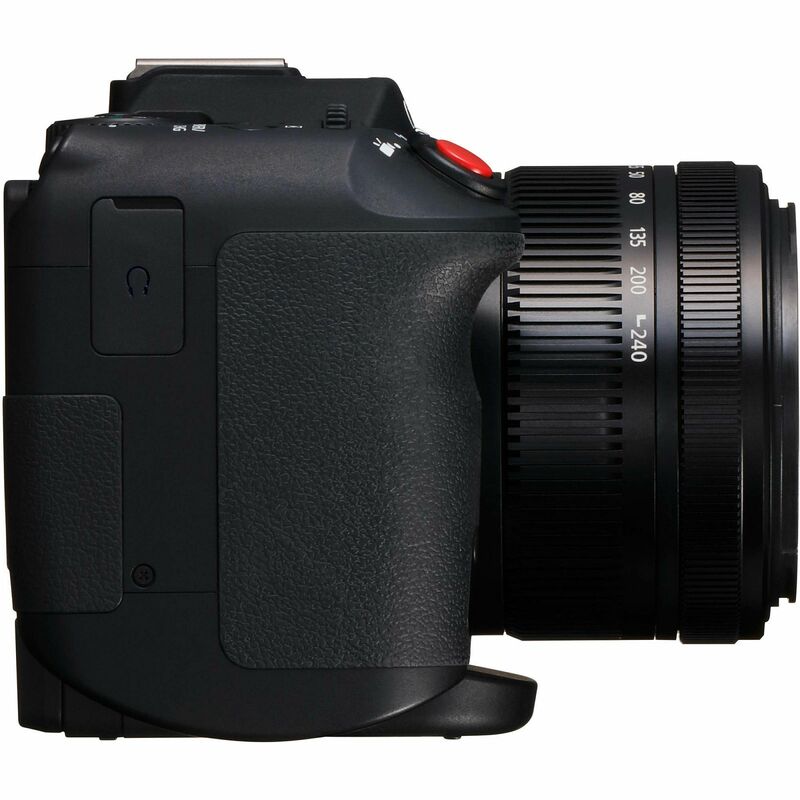 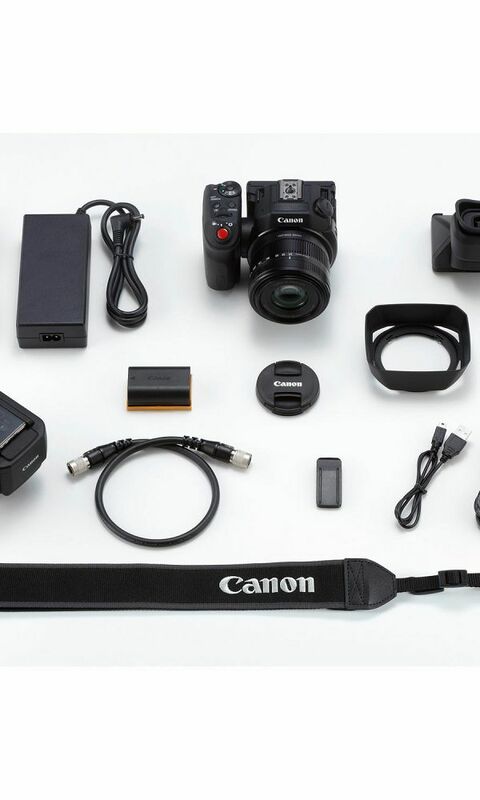 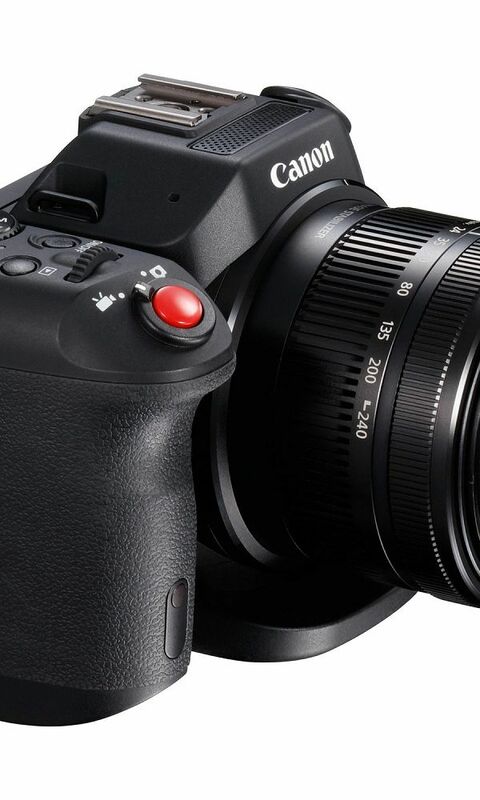 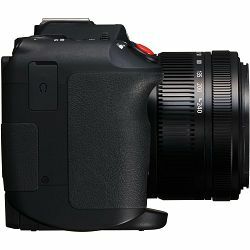 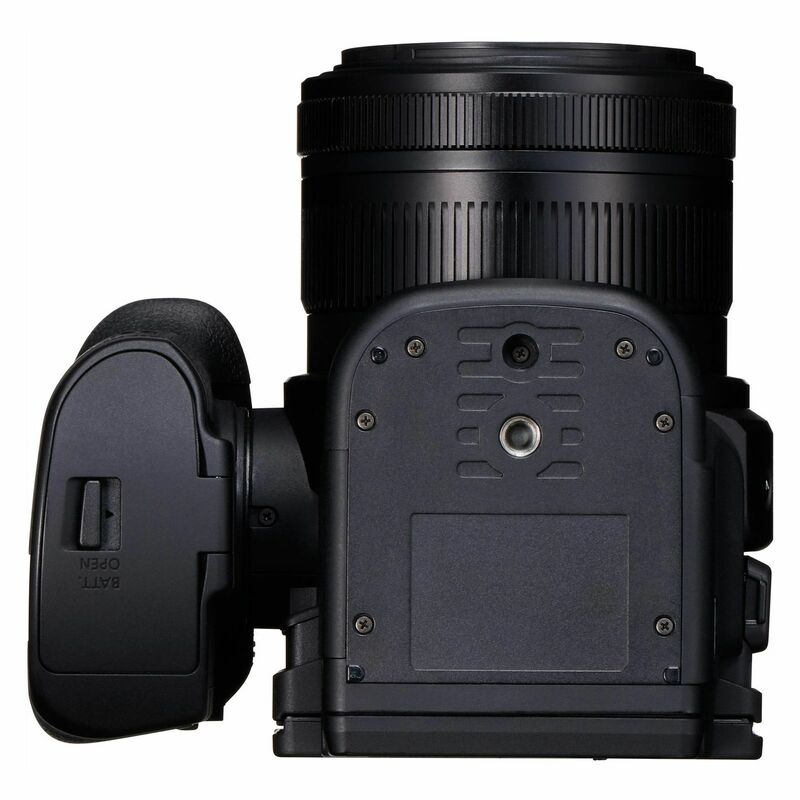 The camera has separate focus and zoom rings and offers auto and manual focus controls. 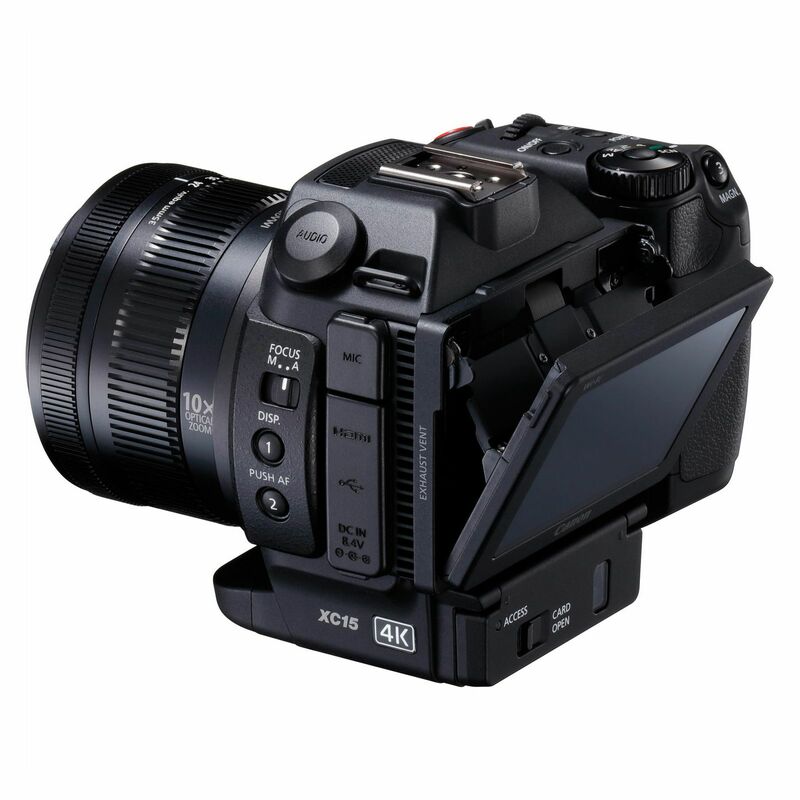 The XC15 supports both CFast and SD cards like the XC10 did. 4K video records to CFast cards in an MXF wrapper at up to 305 Mbps in an H.264-based, IntraFrame, 4:2:2, 8-bit codec; while 1080p video writes to SD cards at up to 50 Mbps in an H.264-based, Long-GOP, 4:2:2, 8-bit codec, also in an MXF wrapper. 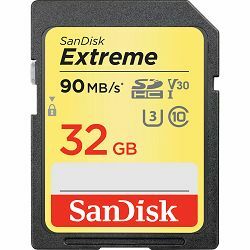 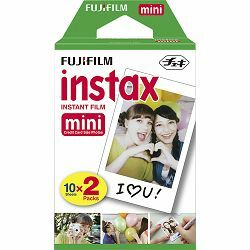 Still images are also written to SD cards. 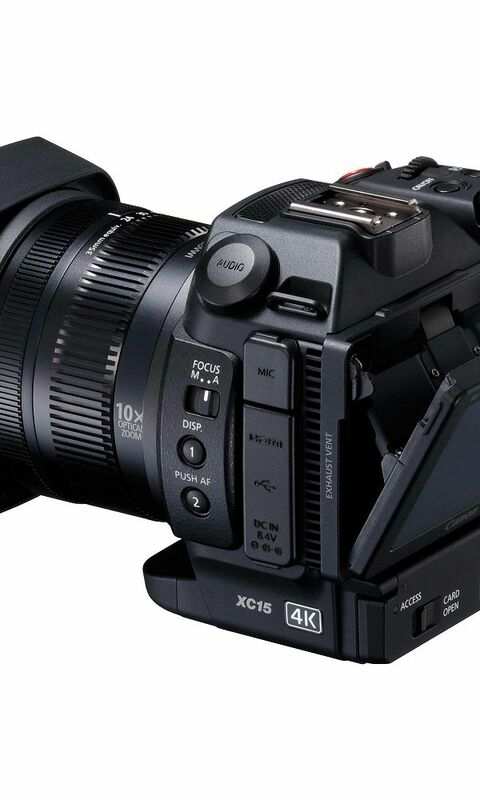 Keeping 4K video separate from 1080p and stills will help avoid data mix-ups. 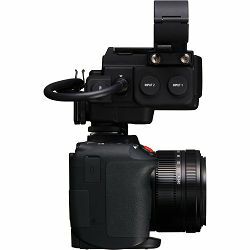 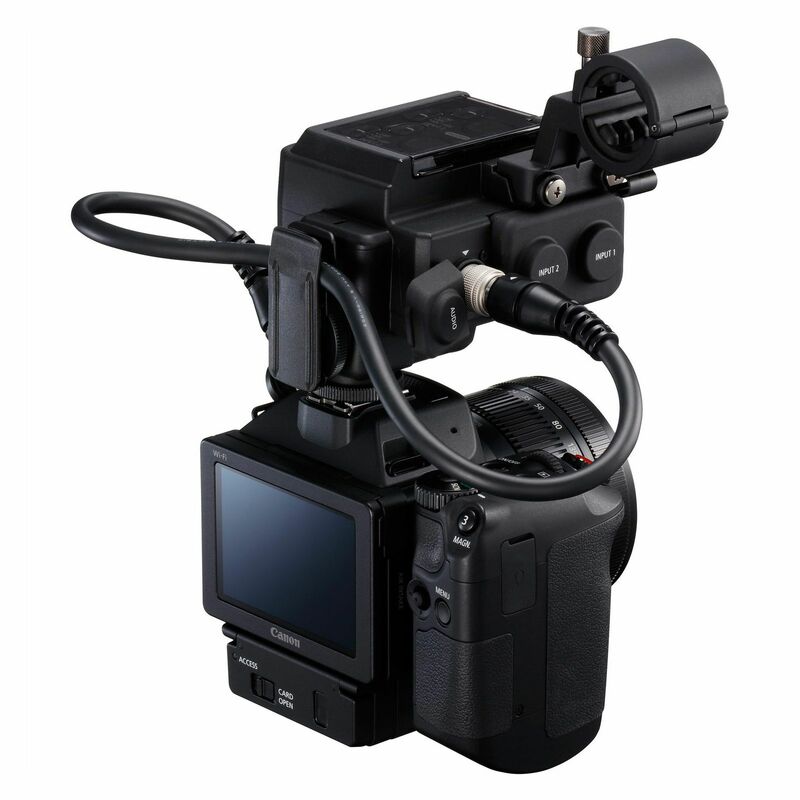 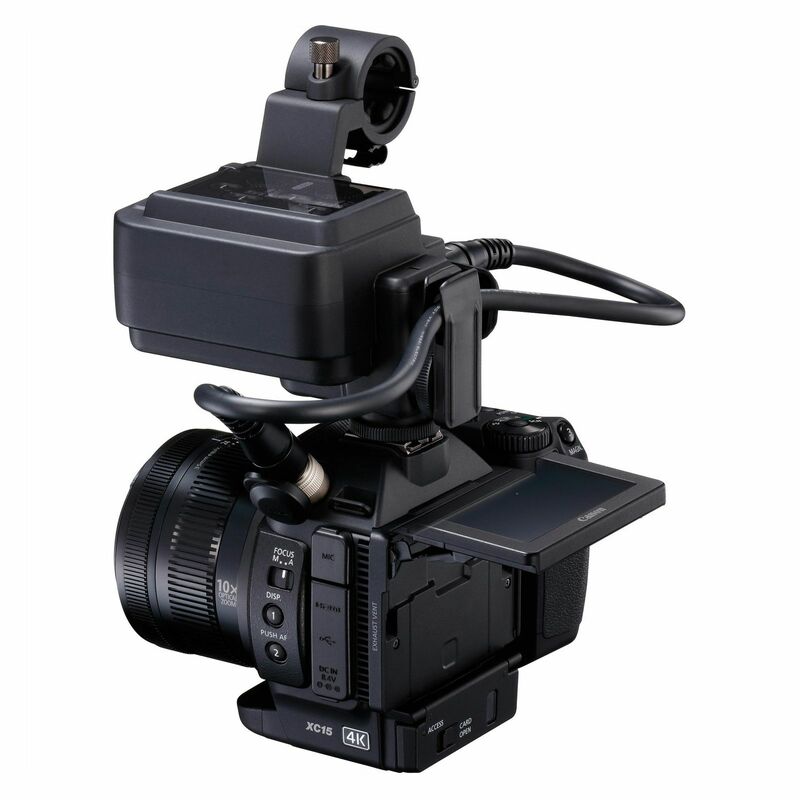 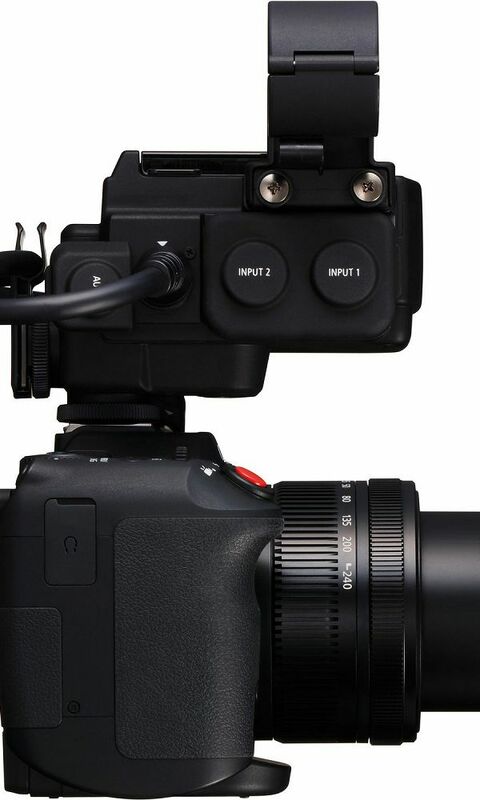 The XC15 comes with the MA-400 microphone adapter and features an XLR audio input supporting the adapter. 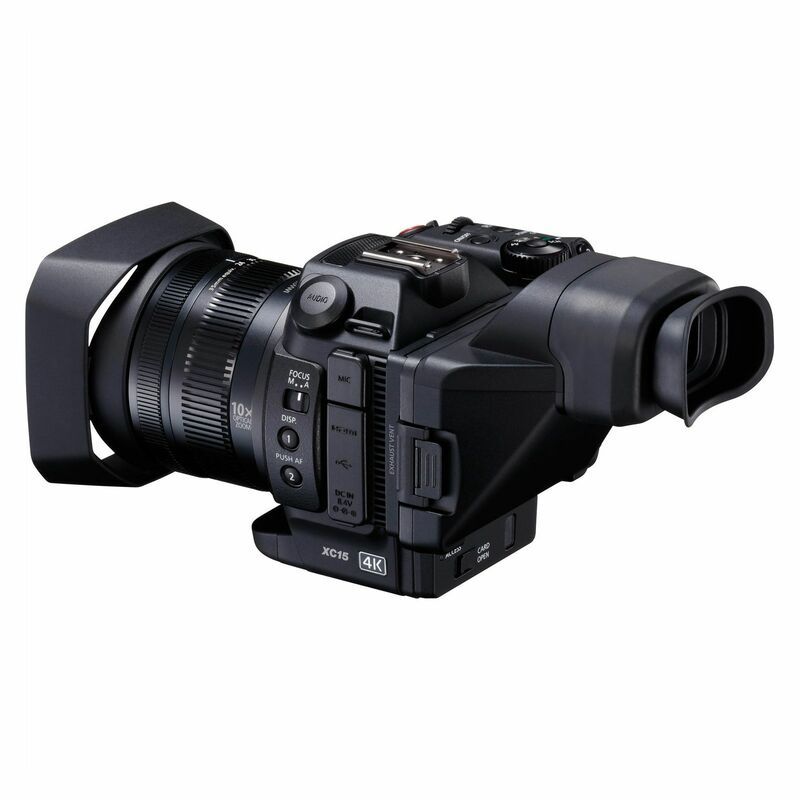 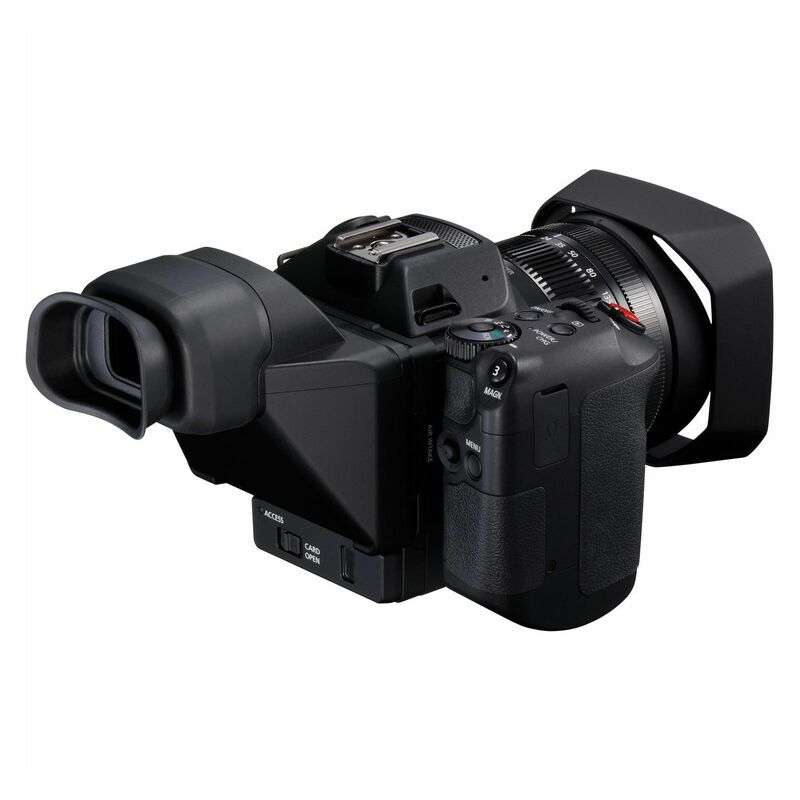 The MA-400 was originally designed for the C300 Mk II and is geared toward single-user applications such as run-and-gun news gathering. 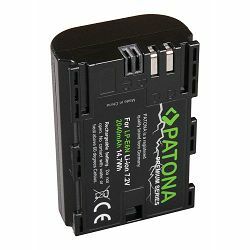 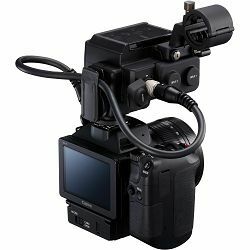 It's shoe-mountable from two different positions and offers an external mic holder. 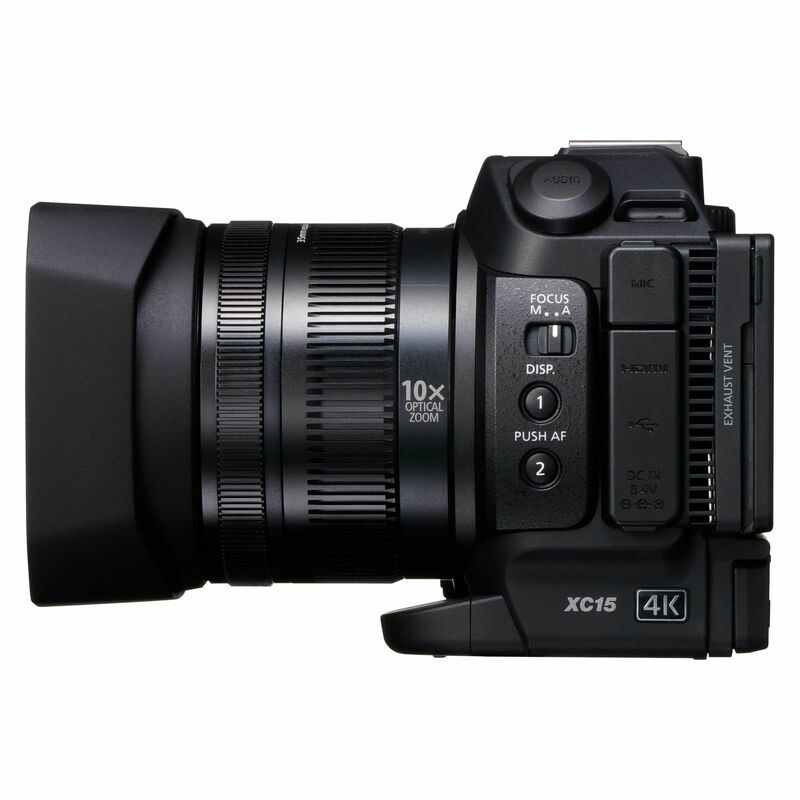 With the added XLR input, menu options have also been added to the XC15 and many existing ones revised for pro applications. 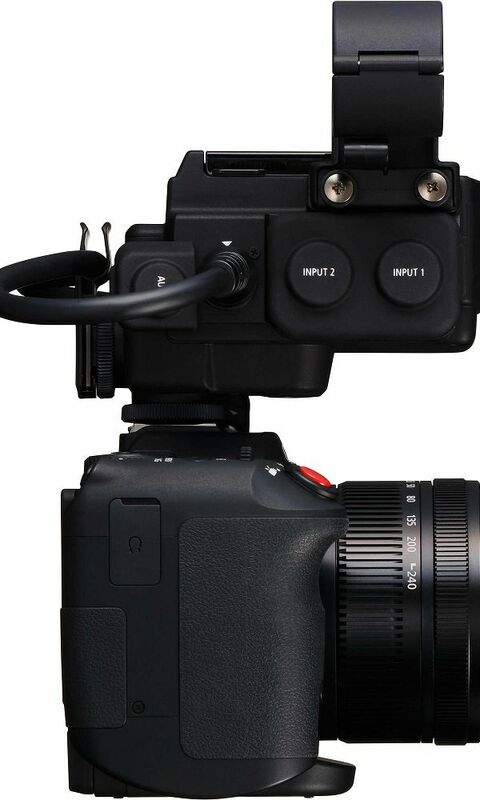 Among the new menu options you'll find internal mic trimming, mic low-cut, and internal mic sensitivity. 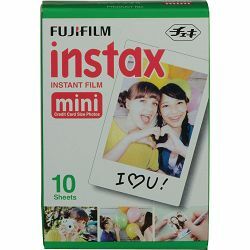 New looks have been added as well for movies and still photos. 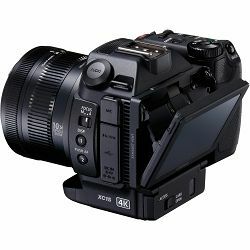 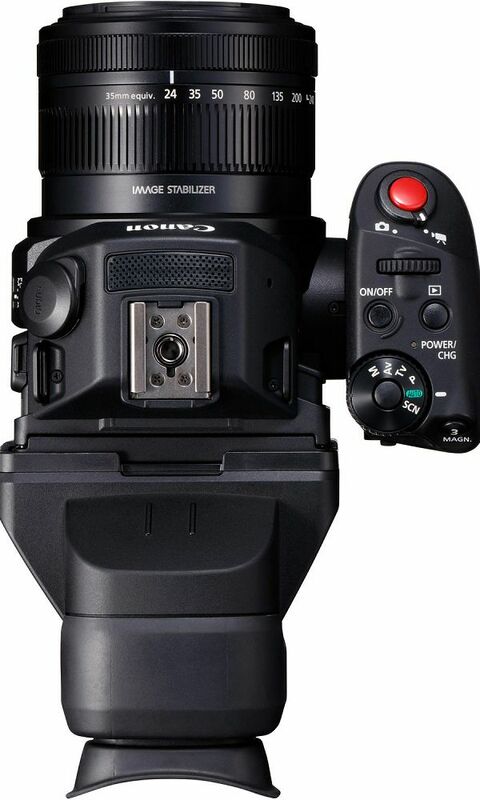 The movie looks from the C300 Mk II have been incorporated, and this will allow for consistency with the C300 Mk II if you use the XC15 as a B-camera, and will also make grading easier. 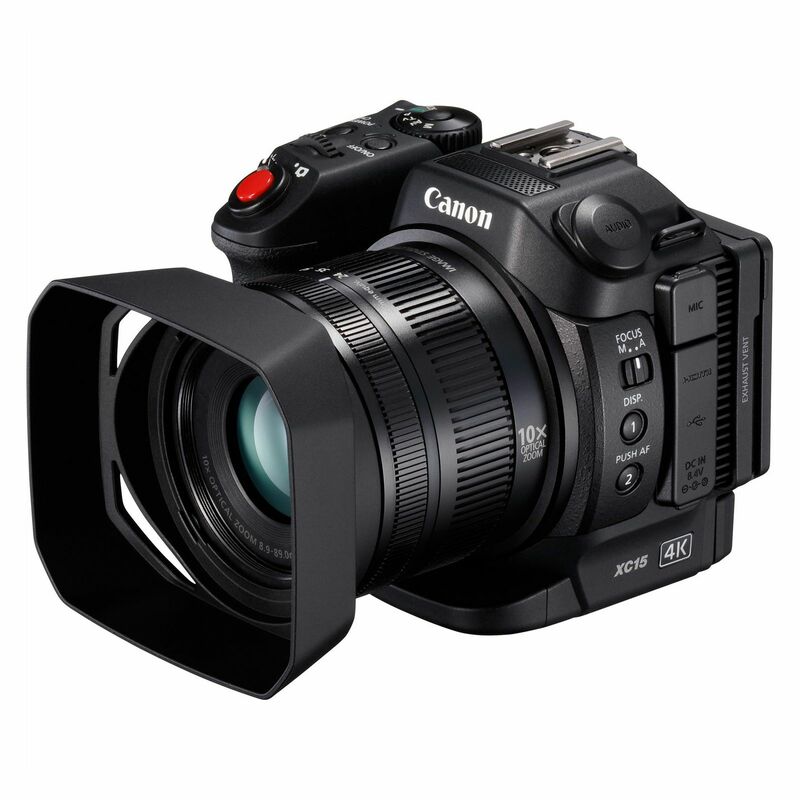 The XC15 also has a new 24p mode for both 4K and 1080p video for film productions (in addition to the XC10's 23.98p), and 24p can also be recorded at up to 305 Mbps in 4K, just like in the C300 Mk II, allowing for further consistency. 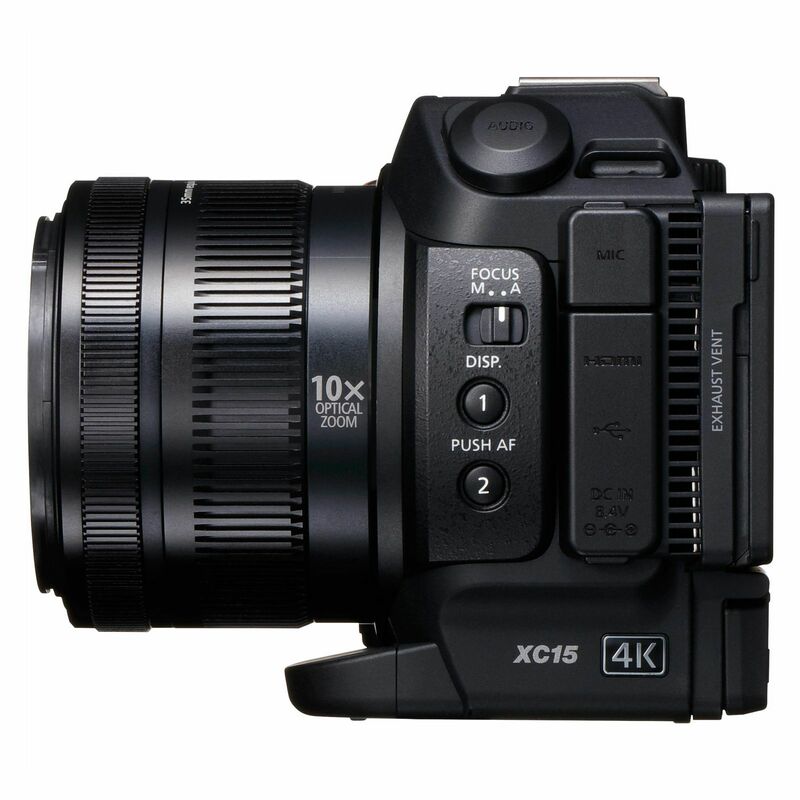 The XC15 also features a Waveform Monitor display, which enables accurate monitoring of video signal characteristics during outdoor shooting or whenever lighting conditions make the display difficult to see. 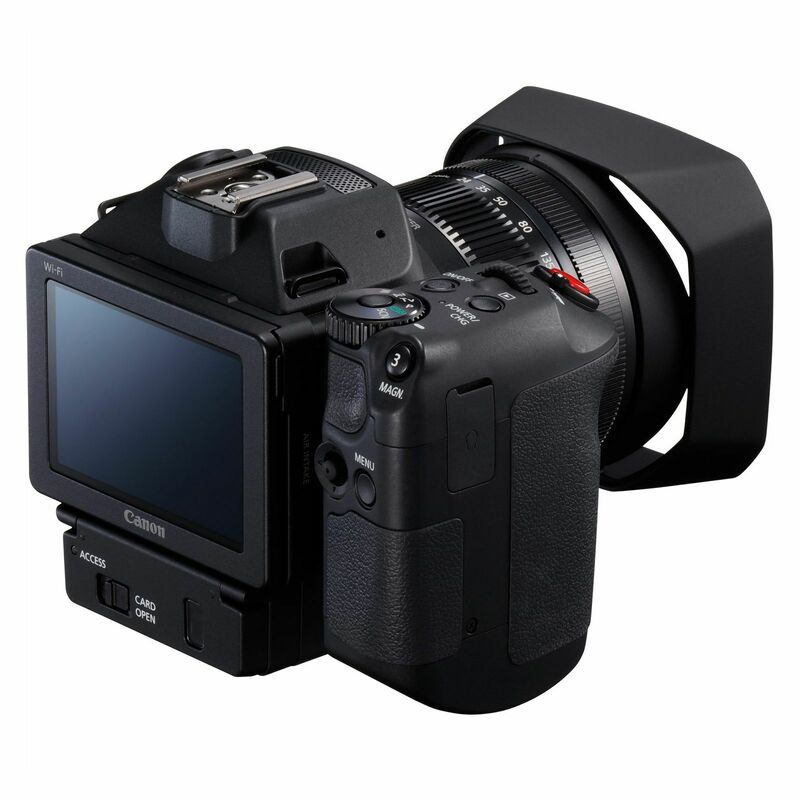 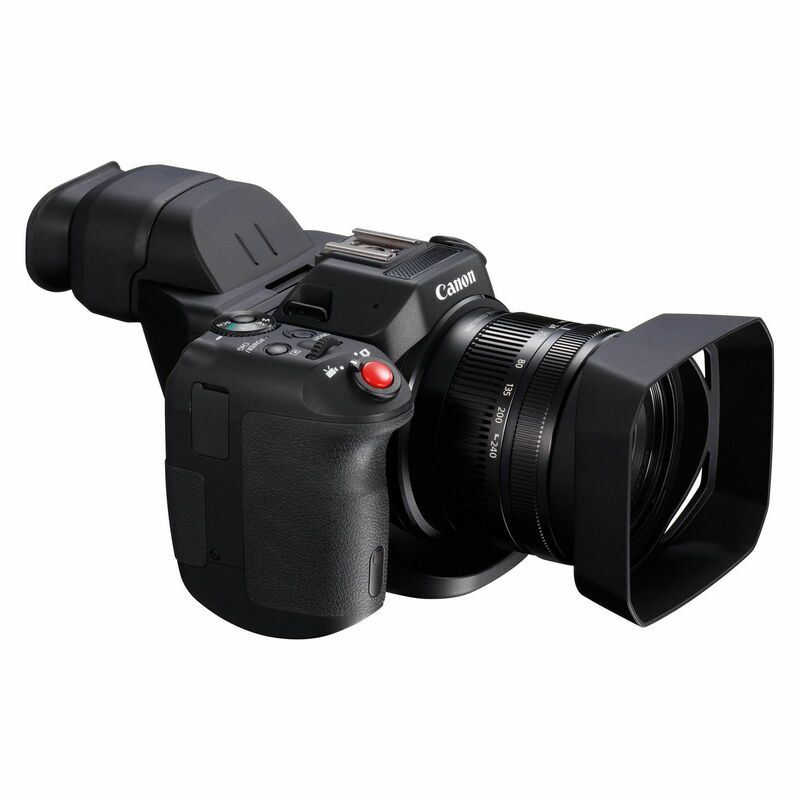 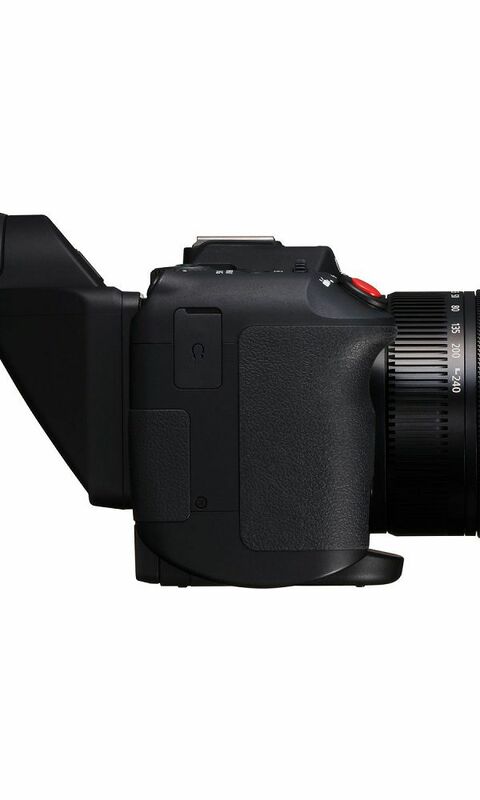 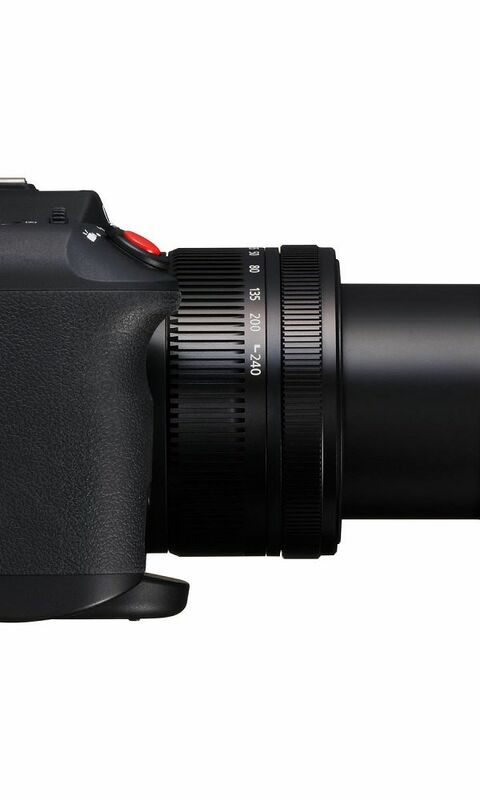 Three additional shutter speeds matching the C300 Mk II have also been added for flicker reduction. 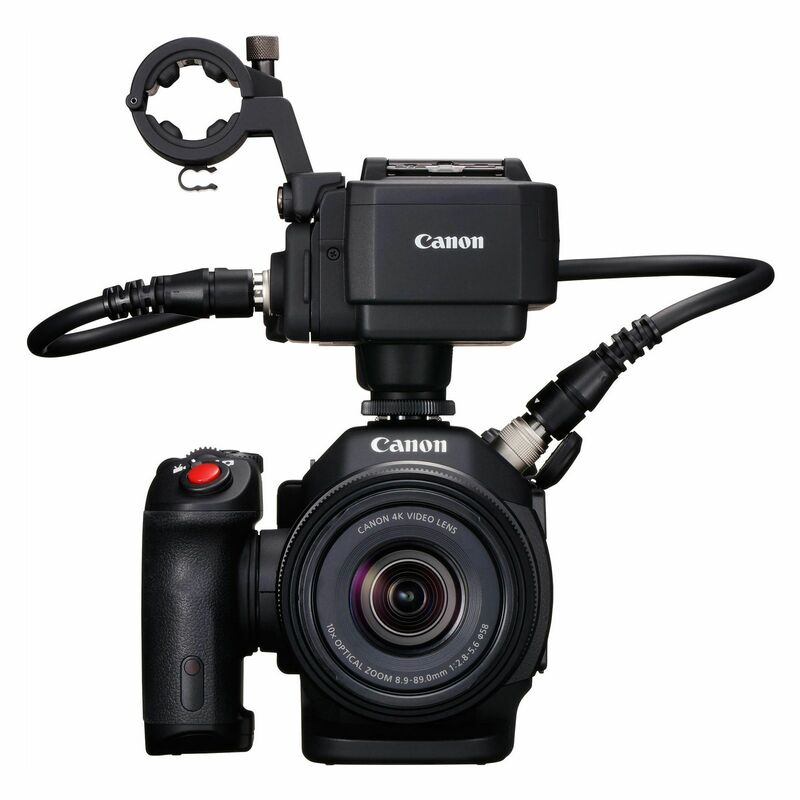 You'll be able to set the right speed to handle the wave frequency at the shooting location. 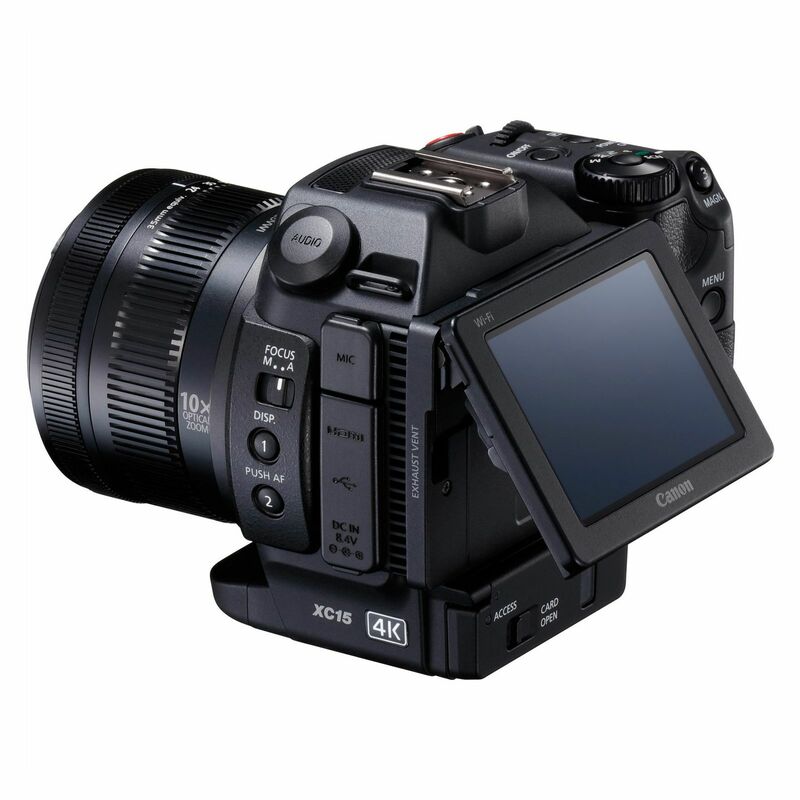 The scale display has also been changed to now be based on 1/24 second shutter speeds in following with the 23.98 sequence, improving usability for cinema productions. 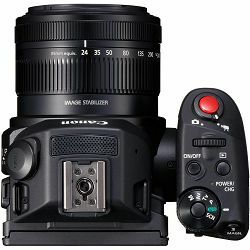 Finding a standard shutter speed is generally hard when shooting in 23.98p, but now that has changed with the UI being based on 1/24 second shutter speeds. 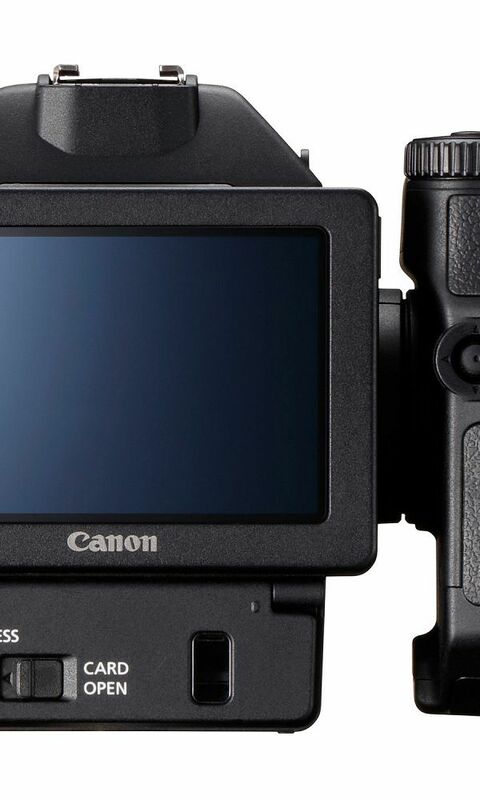 The shutter speed display can also be switched to a shutter angle display from the menu if that's how you prefer it. 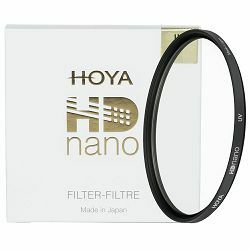 Another new feature is Highlight Priority, a new gamma mode that provides similar effects to HDR. 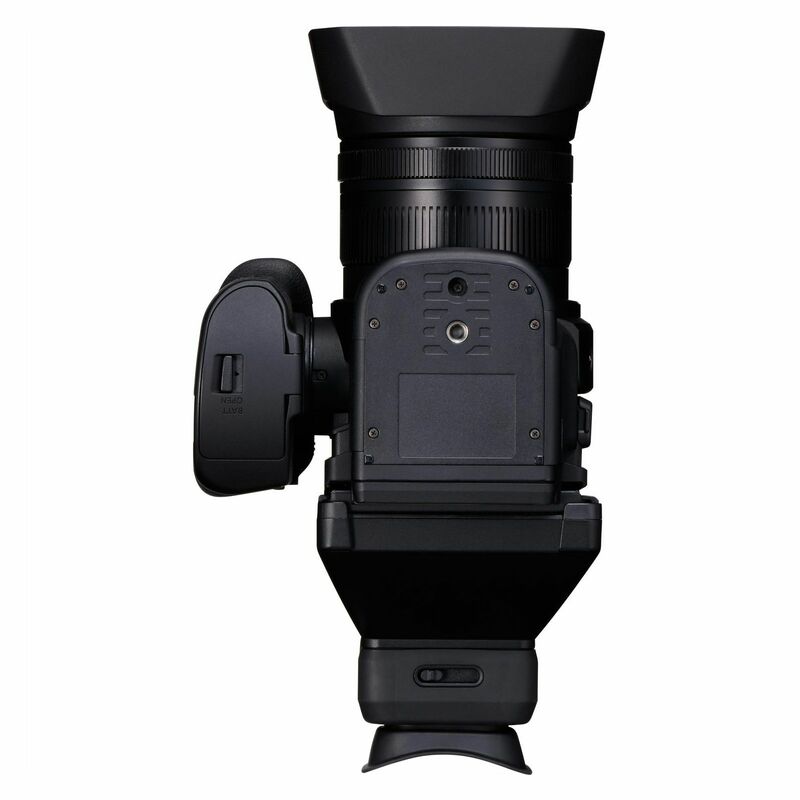 Highlight Priority offers a bright linear display that expresses the very tonality seen with the eyes. 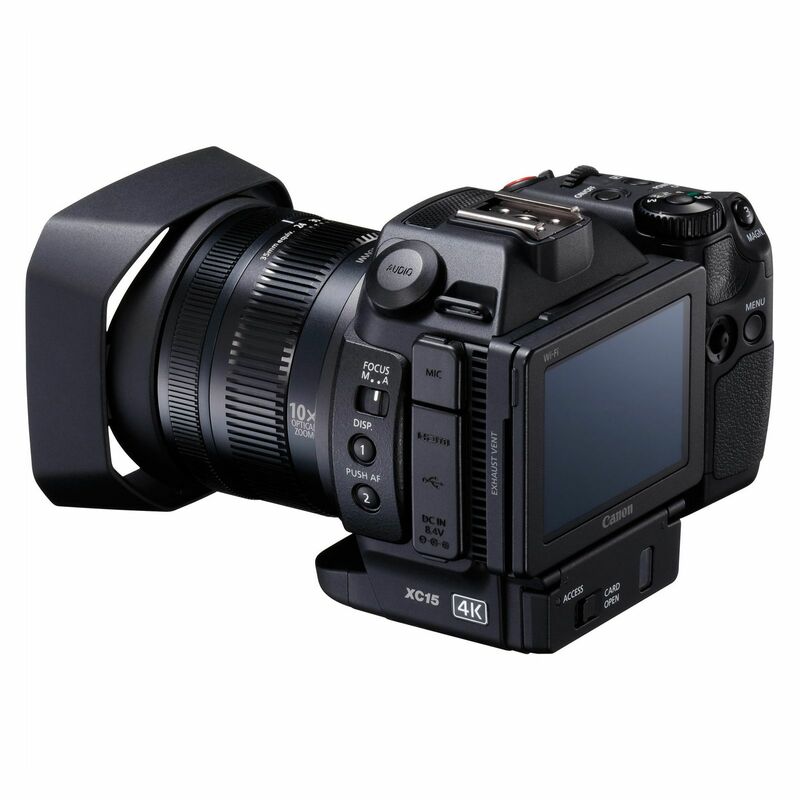 The color reproduction and sharpness of mid- to high-brightness areas are displayed with greater realism. 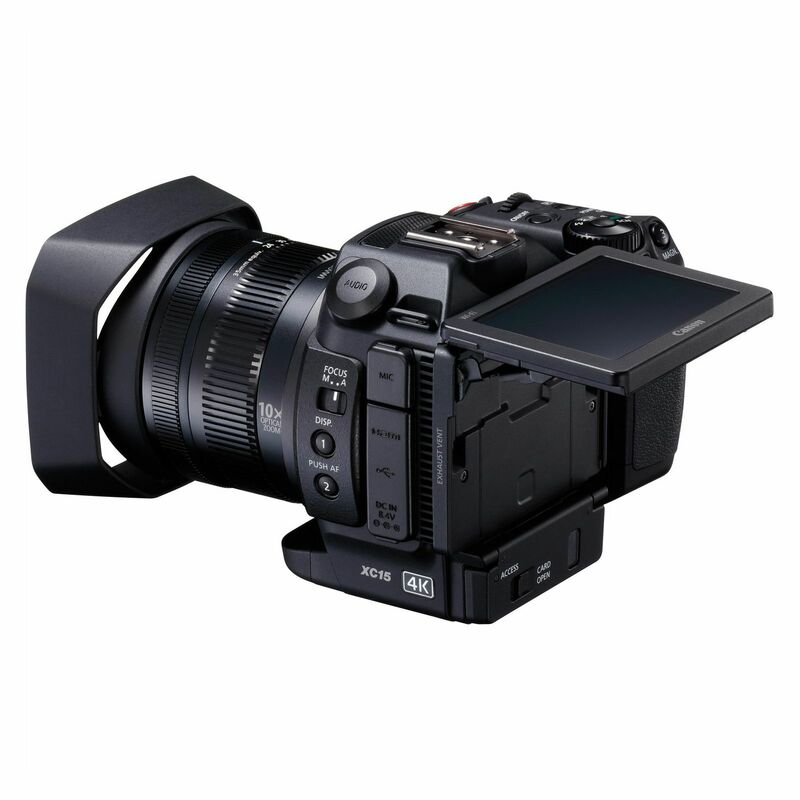 Rules can also now be assigned to file names and metadata after filming for easier data management using XF-AVC. 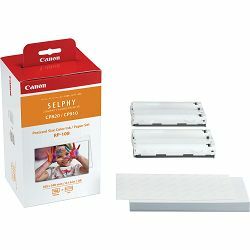 Proxy files are defined to be distinguished with a quick look at the file name, improving work efficiency. 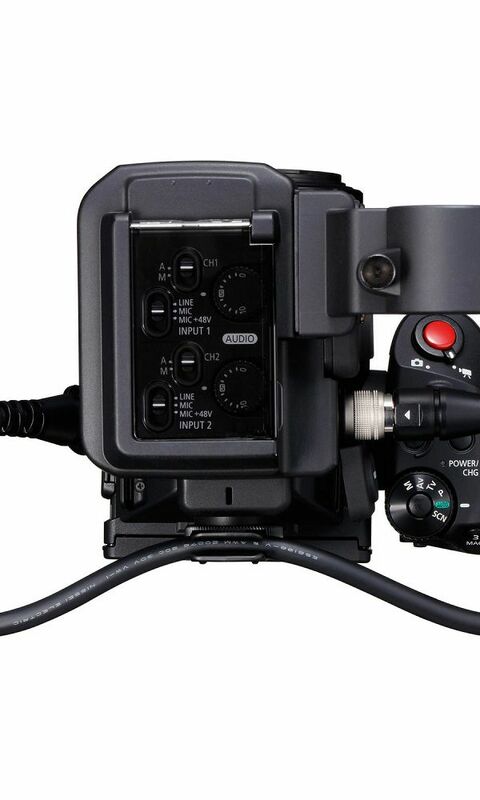 And finally, there's also a new touch panel with an operation lock. 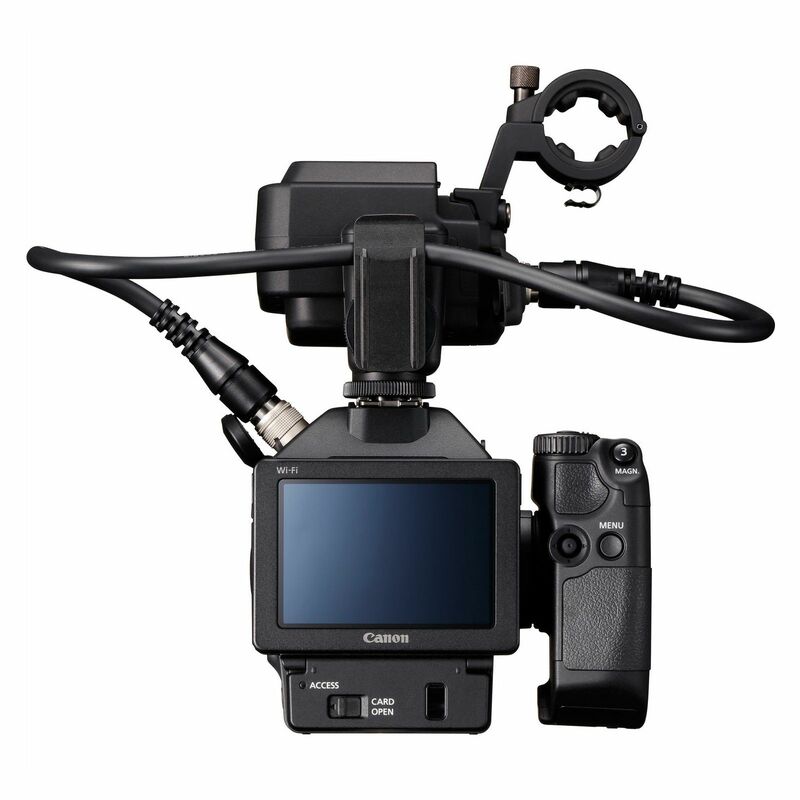 When operating the camera with cross keys, you can set the operation lock to prevent mistakes in operation and settings. 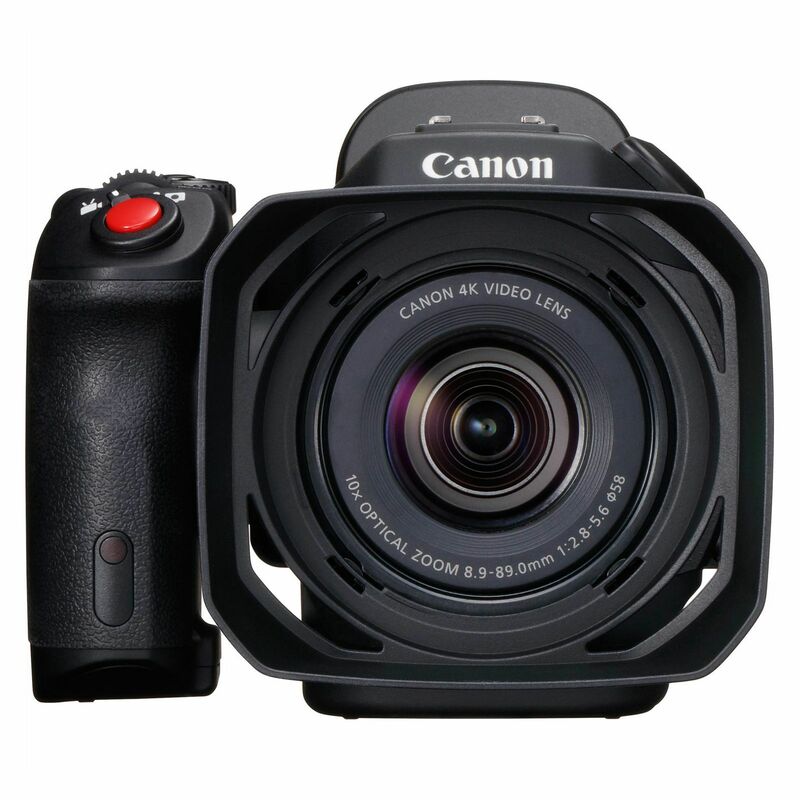 The XC15 is small enough to be highly compact, yet large enough to handle comfortably. 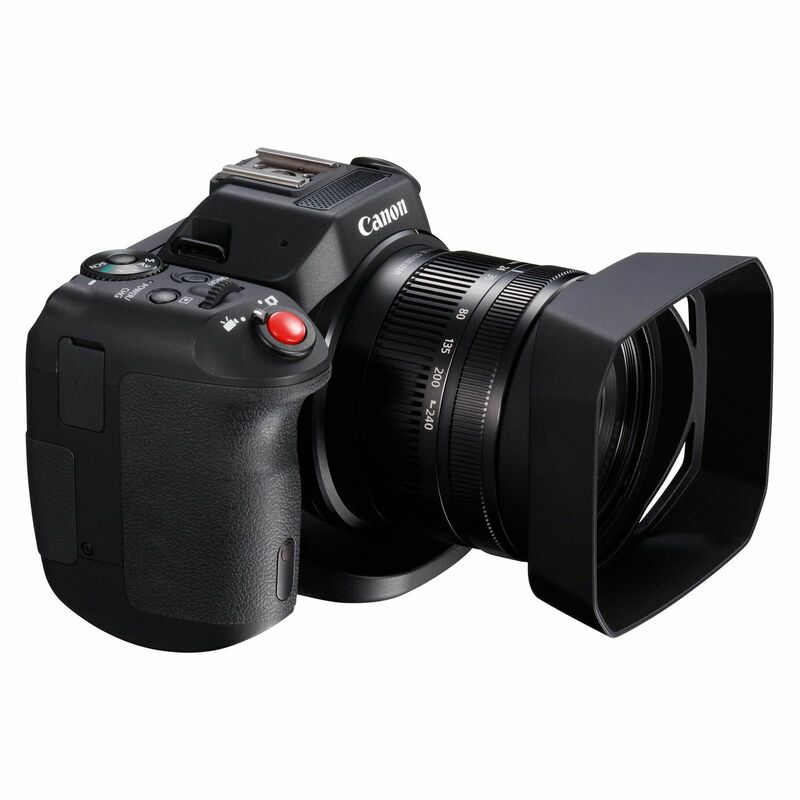 It features a grip on the side with a record button and other controls at your fingertips. 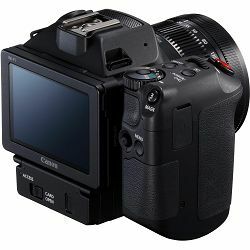 The LCD on the rear is centered and tiltable. 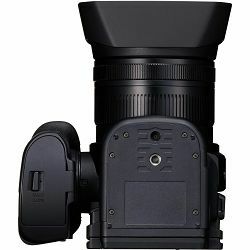 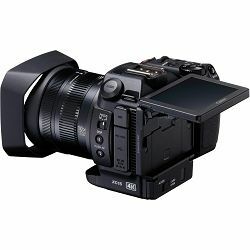 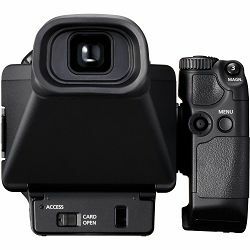 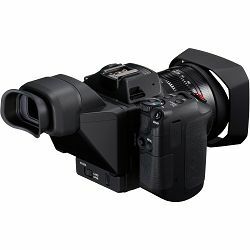 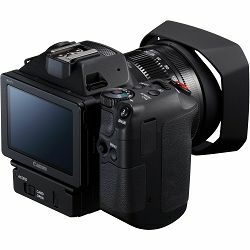 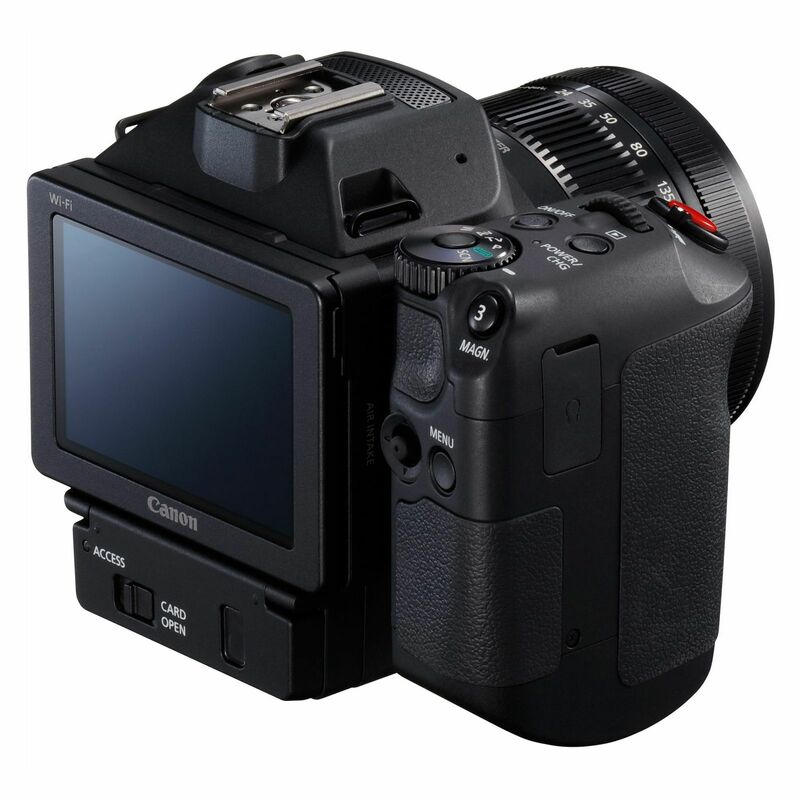 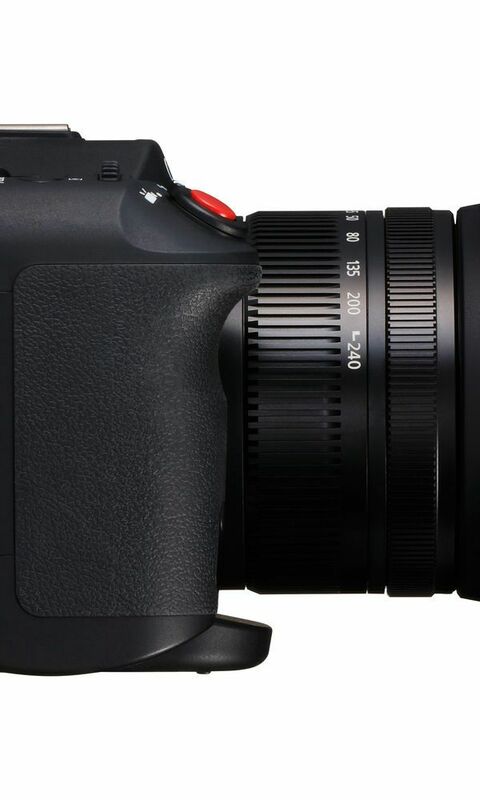 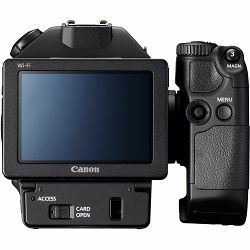 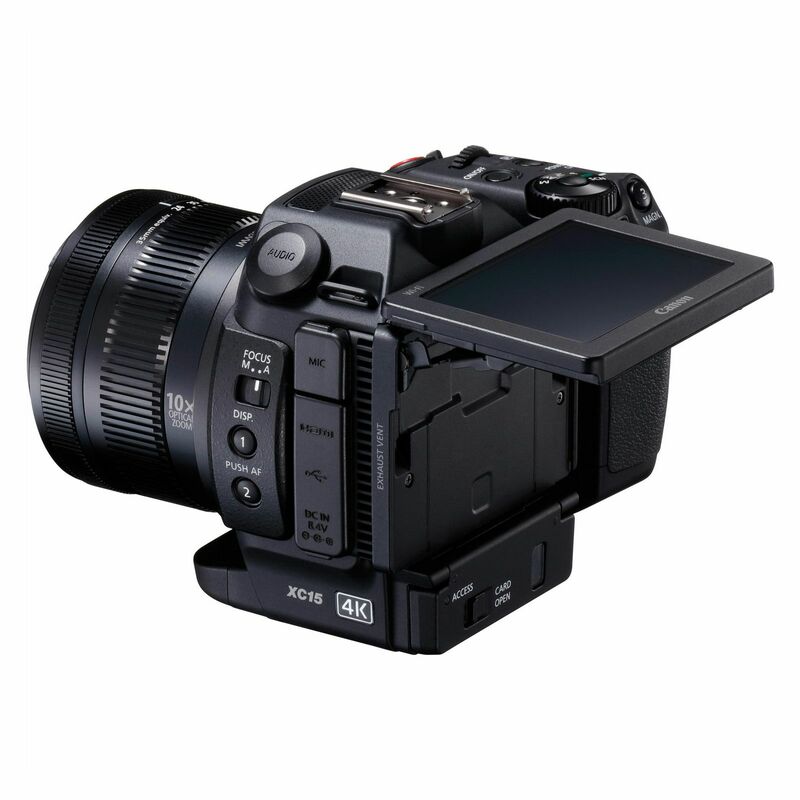 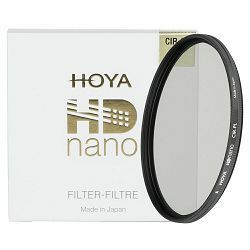 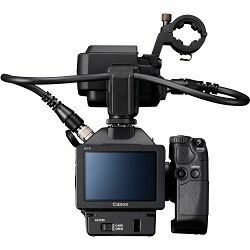 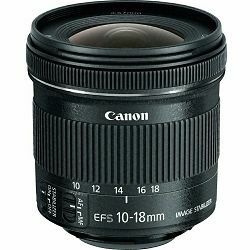 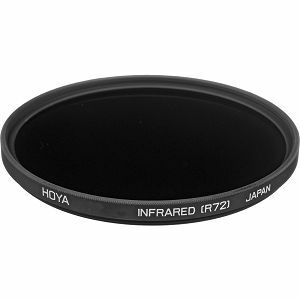 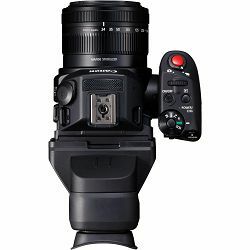 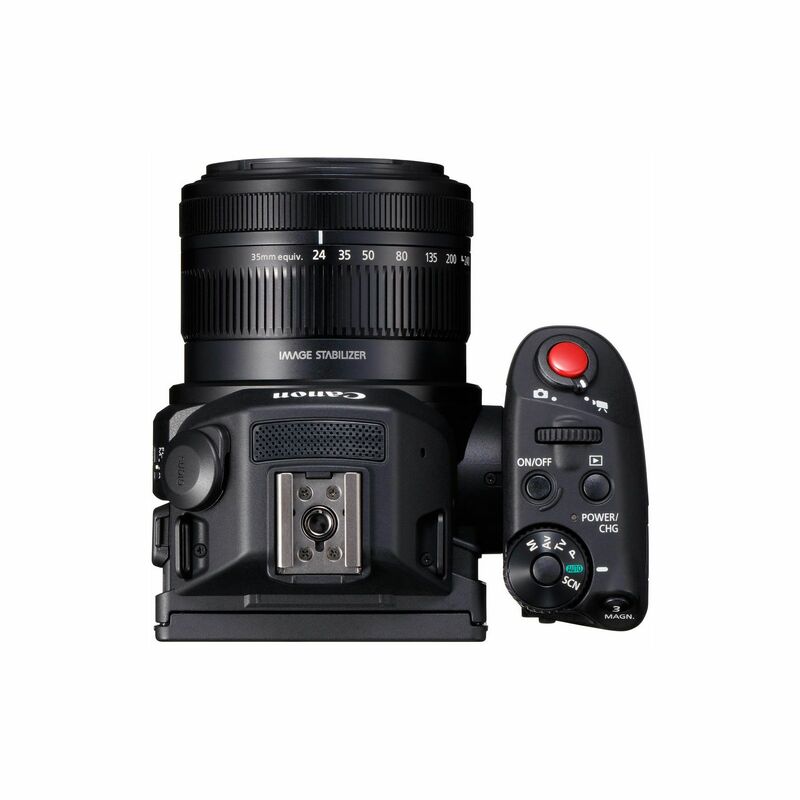 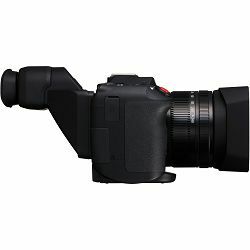 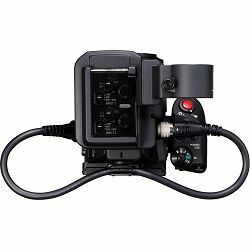 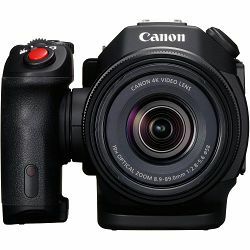 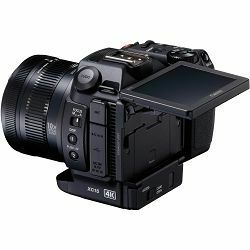 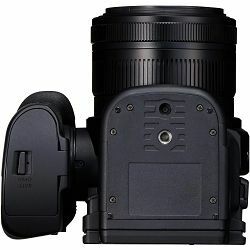 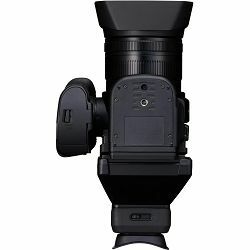 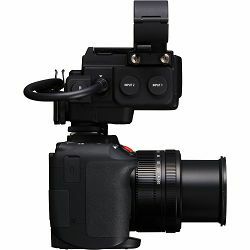 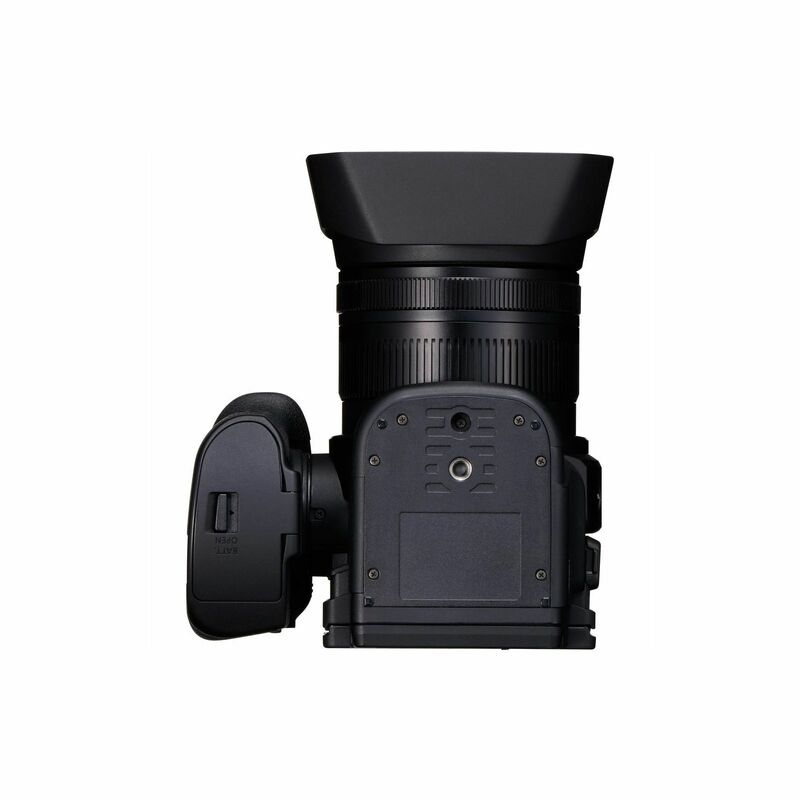 The included viewfinder attaches right onto the LCD and stays at the center of the rear of the camera, which is especially beneficial for those rare users who prefer to use their left eye with viewfinders. 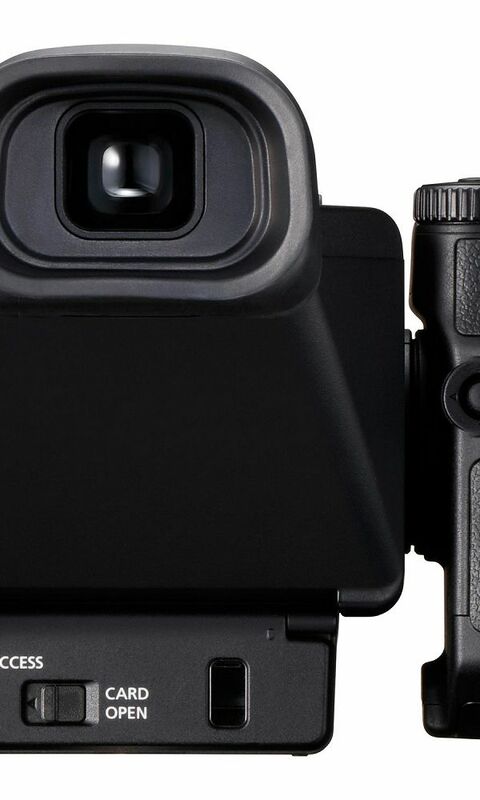 The camera also has a large foot on the bottom that allows you to safely place it down.